Solve all your storage issues in your home with a beautiful addition from our range of storage trunks. 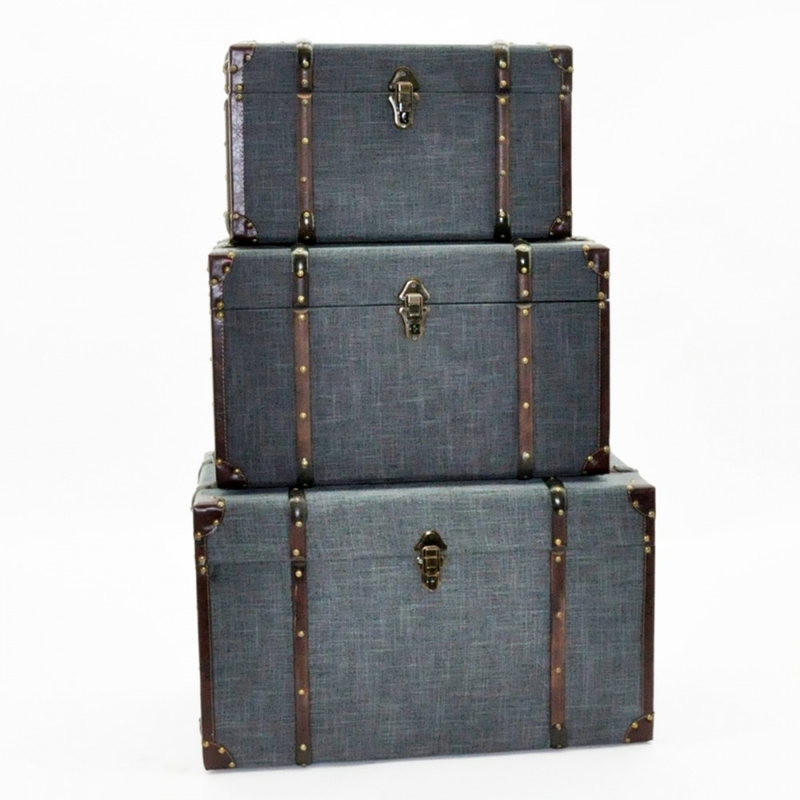 Introducing this lovely set of grey storage chests. Complete in a grey colour and made from fabric each chest also features a brown and gold leather design. With a modern feel these chests will not only solve your storage issues but will give your interior an instant upgrade. Made to the highest quality these chests are a must have addition and are ensured to last your a lifetime.